Rabbit Viral Haemorrhagic Disease 2 (RVHD2) is a highly infectious and potentially fatal virus strain, which is currently sweeping the UK. The virus causes internal bleeding. This unfortunately means that many owners don’t notice any symptoms of this disease, and rabbits can simply be found dead or ill with no obvious cause. Both strains of RVHD (1 and 2) are spread by direct contact with infected rabbits, or indirectly via their urine or faeces. The virus can survive for months in the environment and it also survives well in the cold. 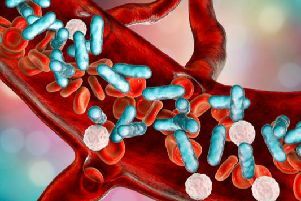 Sepsis: What is this dangerous health condition and what are the common signs and symptoms? Cases of RVHD2 have been recorded all over the UK, and the safest way to protect your rabbit is through vaccination. According to the Rabbit Welfare Associate and Fund (RWAF), all pet rabbits should be vaccinated against both strains. “RVHD vaccines are very effective. Your rabbits can currently be protected against both strains of RVHD by vaccination any time from 30 days of age (previous advice was 5 weeks), with a booster every 12 months when part of the Myxomatosis-RHD vaccine,” add the RWAF. - Anything that has been touched by an unknown rabbit should be thoroughly cleaned and treated with virus killing agents.